t*rexes and tiaras: Vouchers aren't real money, right? So, a few weeks ago I signed up to take part in a market research opportunity for Tesco. I'm not sure why, other than the fact that it had been sent on by someone I know who works for them and I think they got a bonus for referrals. I did the task, and a couple of weeks later received a £25 F+F giftcard in the post. I thought long and hard about whether I should give it to someone else. Is spending a gift card the same as spending money? I figured not. I also made use of one of those Tesco vouchers which comes through the post every few months: "spend £25 on F+F and save £5". 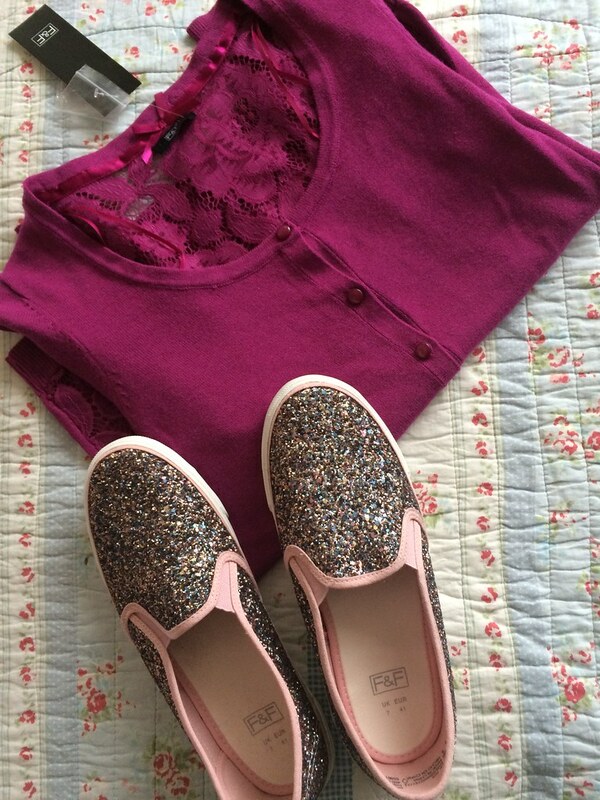 Which meant that the cost of these shoes and this cardigan (£30) was entirely covered by the giftcard. I don't feel bad about it. I don't feel as though I've cheated on my plans, as I guess it's no different to receiving a present. I think the spending ban is clearly changing the way I think about spending money. That can only be a good thing.